First Line:"Hitting the ground is the hardest part." 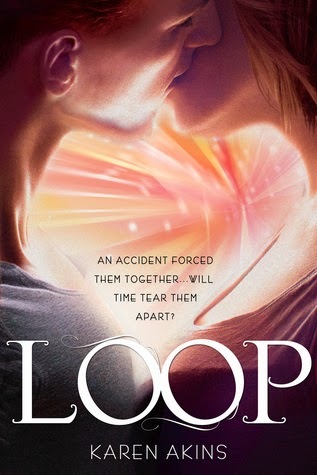 Review:Every time I hear about a new book that has to do with time travel I get all excited and just have to get my hands on it even though only a few have truly impressed me and that I love beyond all measure I still gravitate towards books that have to do with the subject matter and Loop did not disappoint. Loop was actually very entertaining and I couldn't get enough of it. Overall even though there were quite a bit of seriousness to the book it felt like a fun lighthearted time travel book and it is a great addition to the Sci-Fi genre. ~"Here in the institute, we were all special, special snowflakes wrapped in flower." ~"Wow. What were the chances of breaking every law of quantum dynamics and locating the universe's most annoying person in one fell swoop?"